While mortgage holders are currently enjoying the low interest rate environment, the same cannot be said for investors with savings accounts and term deposits. Investing in cash can provide peace of mind and it does play an important role in a diversified portfolio. However, when investing, it is also important to consider whether cash will grow your wealth enough to meet your long-term goals. 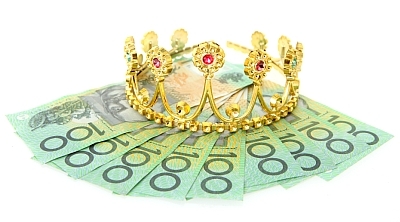 Cash and term deposits are an attractive investment option in years when interest rates are high, however as savings and term deposit rates have declined, the return on cash investments have become less attractive. Importantly, it depends what you are investing for. The interest rates on offer to those with personal savings are now at historical lows. The Reserve Bank of Australia cash rate has remained at 2.50% since August 2013, yet rates for online savings accounts and term deposits continue to fall. The average rate available for online savings accounts is now just 2.55%* and one-year term deposit rates offer just 1%pa more on average than this online savings rate. Many investors take these savings rates on face value but fail to take into consideration the ‘real rate of return’ factoring in the impact of inflation and tax. Inflation is often overlooked when considering investment options. Inflation is the increase in cost of living over time and it erodes the purchasing power of our money. This might not be such a big deal when you are working as wages will generally keep pace with inflation, but once you retire and you’re living off your cash savings, then inflation can have a more substantial impact. To achieve ‘real’ growth from your investments, you need to earn a net return above the rate of inflation. Based on the average savings and term deposit rates discussed above, average-income earners will now need to earn at least 4.14% pa on their savings to keep ahead of tax and inflation. For higher-income earners, the interest rate needed for their savings is more. For example if you’re earning a salary of $80,000pa, you’ll need a savings rate of at least 4.6% pa. With our inflation rate predicted to rise even further, the real rate of return needed is also likely to increase. Remember, that cash plays an important role in your portfolio and can be useful to meet short-term goals and expenses, reduce risk in a portfolio and provide liquidity. For long-term goals however, cash may not provide you with the returns you need and you may need to speak with your financial adviser about how you can best grow your investments. Researching to find a better savings rate offered for your cash savings. Be aware of introductory rates, which offer higher returns only to revert to lower rates after the initial period has expired. Considering using savings to pay down debt such as personal loans, car finance and credit cards. Credit card debt is expensive and the debt can increase quickly if the balance is not paid out each month. If considering paying down personal debt, it pays to first check any exit fees or penalties that may apply to early repayment. Placing funds in an offset account linked to a home loan. Whilst invested in there, interest on the home loan is reduced. You can use our home loan offset calculator to work out the interest you can save. Establishing a regular savings plans offering diversified investment in other asset classes such as fixed interest, shares and property. Be sure to understand what you are investing in and the risk and return offered as each asset class will have different risk and return expectations.